Burning Season Has Started in Chiang Mai. 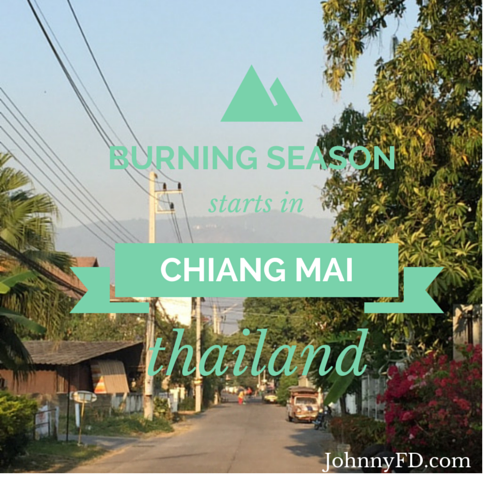 Every year around this time the internet, facebook groups, and online chats start talking about the burning season starting here in Chiang Mai which is why I've updated it again for 2019. In this post, I'm updating this article for the 5th year in the row detailing exact days when burning season really started and started getting bad enough for most nomads including myself to leave. Is burning season really that bad? Is it really unhealthy for you? Can I stay in Chiang Mai? Where should I go instead? This post answers it all so keep reading for a definitive answer from someone who's actually been through the worst years, and has both stayed through as well as escaped burning season for five years now. 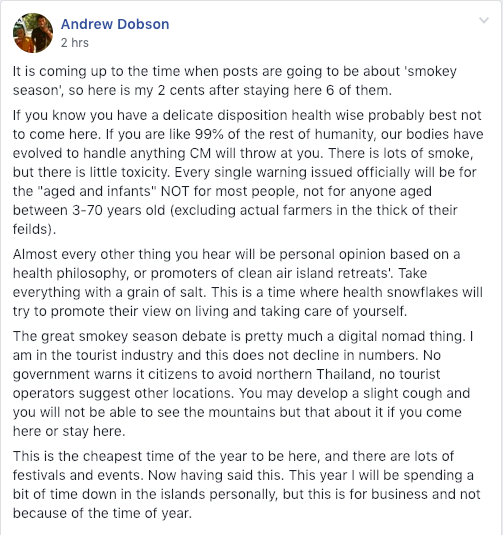 When I first wrote this post on February 22nd, 2015, I wrote "Yesterday was the first day of burning season this year, the first day where the air quality got bad enough where I wished I wasn't in Chiang Mai. For some people it was a week ago, and for others they won't really notice it or care until mid next month." What hasn't changed is the fact that I love clean, fresh mountain air, so whenever the pollution gets bad enough for me to stop seeing the mountains or want to go for a run outdoors, it has started. Officially burning season in Chiang Mai is from March 1st - April 12th every year but can start a week before or after depending on the weather and rain. Keep reading for details and more information. 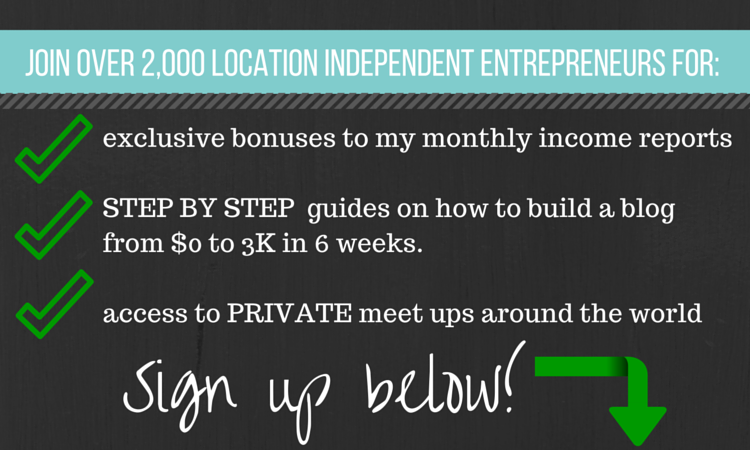 In 2013 I was just starting my first online business and was too broke to leave Chiang Mai. Luckily the burning didn't start until mid March and since I didn't have any options I sat through it just as I did the year before in 2012 when I was training and living at a Muay Thai gym. In 2014 the burning season really started getting bad on March 15th. It was the day I remember it being bad enough where I wanted to get away. Luckily, Rock Climbing in Krabi was only a cheap flight away. In 2015 it started on February 21st which is when this post was originally written before the updates. In 2016 : This year it started today February 15th and it's already getting really bad. Which is why I flew down to Koh Lanta for a second year in a row. In 2017: This year it started after February around 28th which is the day I left Chiang Mai for Bali then escaped there to Barcelona. In 2018: Today is February 12th and although there there is haze in the air, the air quality is still fine for most healthy people, including myself who is normally the first one to jump on a plane down to the islands as soon as it starts getting bad. Watch this video for an overview of burning season in Chiang Mai and everything you need to know. Update: Today is February 22nd, 2018 and the air is very good, you can see the mountain clearly along with clouds. This is why people get so confused as it seemed to have started two weeks ago, cleared up, but will surely get bad again in March. Watch the video below for more info. In 2019: Today is February 1st, 2019 and same as last year, there is a bit of haze in the air so it's getting harder to see the mountain, but in general the air quality is still fine. My plan is to stay until February 20th for the month then go to Sri Lanka. 2019 Update: The burning season has started early this year on February 12th, 2019. There is a lot of haze in the air and we can feel the dryness. It's not yet bad enough to cause coughing or red eyes, but it's a shame that it's happening early this year as normally it doesn't start until closer to the end of the month. Just as there are flat Earth advocates and moon landing deniers, there's also people who simply refuse to believe that burning season is bad for you. These people usually have a reason why they need to stay in Chiang Mai during March and want to encourge others to stay. Some are just lazy and comfortable here and don't mind dealing with moving around. Some have kids, jobs or businesses, property or businesses here so they can't leave. Others just don't really care about their health and are the type who would happily live in polluted cities like Beijing or smoke a pack of cigarettes a day. Either way, just be warned, there are a handful of very loud, outspoken people who will deny that burning season is bad for you. Don't listen to them. Watch the video above for my explanation on why you should 100% leave Chiang Mai in March if you have the option. The farmers in both northern thailand and bordering Burma burn their fields during this dry season to prepare their land for the next year as well as get rid of bio waste such as corn husks and cobs that can't be sold. It's technically illegal to burn, and even farmers know it's really bad for the environment, but it isn't enforced and until very recently there hasn't been a cheap, easily solution or alternative. More about that solution later in this post. That combined with with unregulated pollution of taxis, cars and trucks lead to bad air quality in northern thailand including Chiang Mai, Pai, Chiang Rai and everywhere north of Bangkok. 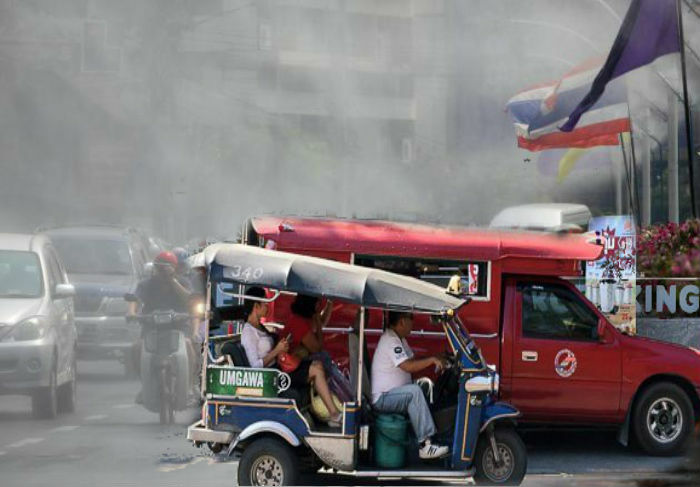 If the Thai government would simply regulate smog from Taxis, Trucks and Tuk Tuks, the burning itself would be a a lot more bearable, but since the car pollution gets trapped under the smoke from the mountains, it becomes toxic and gets trapped under a blanket of smoke. Luckily the red trucks and tuk-tuks below are slowly getting phased out to newer models and Ubers that don't spew smoke, but it's taken a lot longer than necessarily due to corruption and bribery. This photo is dramatized to show how bad it sometimes feels. When the Burning Season Ends? Even though the official start date of burning season varies everywhere, and usually gets really bad mid-march it changes every year. If you want to be safe, try to be out of Chiang Mai by mid to late February, the starting dates vary depending on how dry it's been, so if it rained recently, you can be assured the burning will be postponed for at least a few weeks. However, it always ends on or a few days before April 13th which is a few days before the Thai New Year water festival known as Songkran. We're lucky that the big water festival brings thousands of tourists, nomads and expats back to Chiang Mai every year as without it, there would be a big chance people would move on and leave Thailand at least until the high season starts again the start of November. If you've never been to Songkran, it's best in Chiang Mai, and it's something that you have to do once in your life. Burning season in Chiang Mai, Thailand this year and every year starts from February 20th through April 12th. It can start a week or two earlier but always ends on April 12th right before the Songkran Water Holiday Festival. I don't recommend anyone stay in Chiang Mai, Pai or northern Thailand from March 1st-April 12th. A lot of how bad it feels immidently depends on if you have allergies or are sensitive to smoke and bad air pollution. But in the long term it's bad for everyone and can literally takes years off of your life. It's NEVER good for you and if you have a location independent business or the freedom to travel, you should. That's the whole point of being a digital nomad. 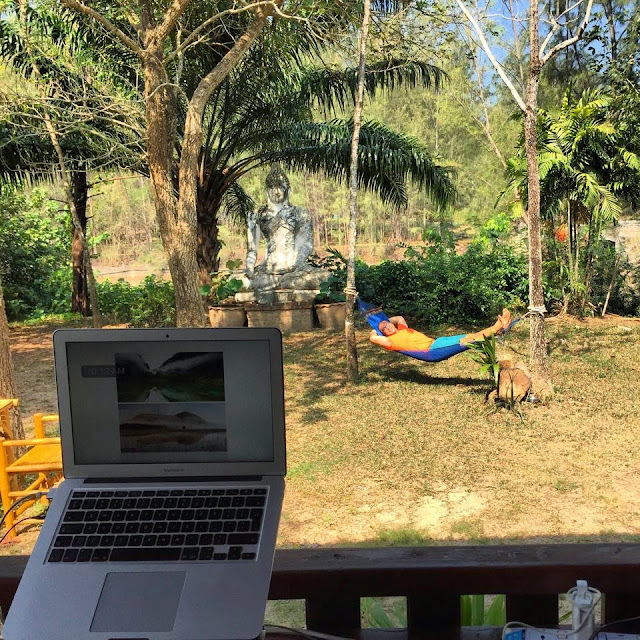 Personally, I go down to Koh Lanta and enjoy the fresh ocean air, beautiful white sand beaches and continue my life as a digital nomad down there for a few months until it clears up. I have flights booked to Krabi for mid March as my parents are coming to visit then. I also told Larissa that if the air gets worse before then, we'll just change or forfeit our flights and go down a few weeks early. We're within walking distance to PunSpace and to our gym, both which are indoors and filtered. It's been a few days since I wrote this and thank goodness the air cleared up again. It's now Feb 25th and the air quality is actually really good. It looks like March 15th is still the date that it'll start getting bad enough not to be in Chiang Mai. It's gotten so bad in Chiang Mai that we booked a last minute plane ticket and are now down at Koh Lanta. Even though the air is still fine enough to be here right now, and there are plenty of other digital nomads and friends in town as of February 12th, 2018 and i've been going hiking outdoors everyday without issue...if I would have planned my year better I would have opted to fly out earlier. It's ideally better to arrive in Chiang Mai from October 15th and stay until February 15th if you want to assure yourself of the best weather and air quality. August and September are the rainy months and starting in March it's the burning season, but those 5 or so months in between are perfect. It never gets too hot, it doesn't rain too much and the air is great from all of the rainfall clearing it up. My plan for 2018 is to arrive as early as October 1st, 2018 and stay until February 15th, 2019. That way I can enjoy a long period of time in Chiang Mai without moving around too much, and leave before the smoke gets bad. That being said, we scheduled the 2019 Nomad Summit for mid January to assure it's well before the burning starts. If you haven't already, please watch the video I made talking about the burning season in Chiang Mai and if you want to help support the solution to ending it all once and for all, check out the Stop the Smoke Campaign and make a donation. Enjoy this post? Share it with your friends. Hey thanks Peter. We'd love to check out Koh Space in the future but we're meeting my parents in Lanta this trip! That sounds great! My parents are visiting me early May on KP, also very excited about that. I guess I'll see you when I see you. Are you still paying rent for your apartment in Chiang Mai while you're away for a month? Yup. We signed a 1 year contract for our condo as it was significantly cheaper, and at the end of the day, it's not a huge deal to keep our place empty for a month knowing that all of our stuff will be untouched when we get back. For those renting month to month, if your rent is less than $300 and you can afford it, I would still rather keep the apartment empty and not deal with looking for another place when you get back. Dang! 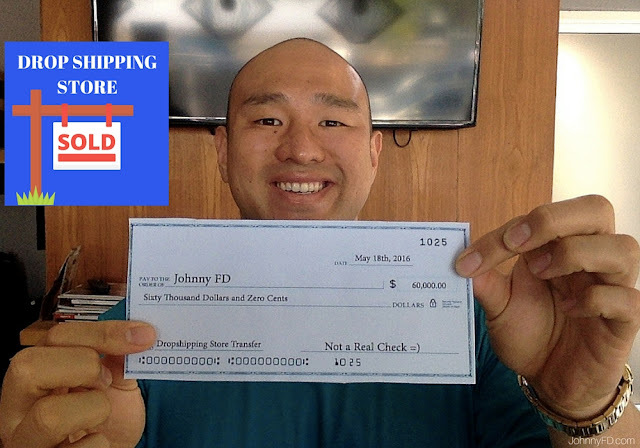 Just as I was about to fly to Chiang Mai for a month to try to kickstart my drop shipping business, like you and Anton inspired me to do, the burning season has started. I have been voraciously consuming your podcasts and blog posts for the past couple of months and now I can't get Chiang Mai out of my head. 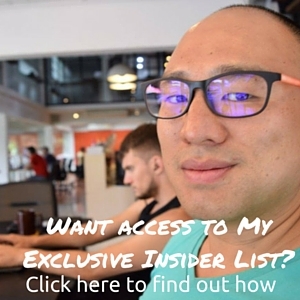 I only have the next 5 weeks off work though, so I was wondering if you have any advice on where else a rookie like me could go to connect with other online entrepreneurs and focus on bootstrapping my business? Are there any good digital nomad hubs in the south of Thailand that you could recommend, or is it still worthwhile to go to Chiang Mai? 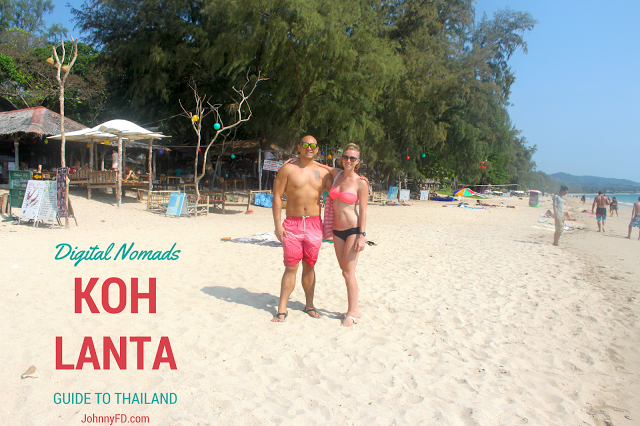 Hey Darko, if you can't move your vacation time, come to Koh Lanta instead. I'm sitting at KoHub right now and it's a good place to connect and work. I wouldn't go to Chiang Mai until after April 12th. Best of luck and see you inside the www.AntonMethod.com forums! If you can, start it before you come as it'll be easier to be in the U.S. time zone. Thanks for the quick reply Johnny! That makes my decision much easier. I will be booking my ticket tonight. I'm super excited to come out there. I have been working my way through the Anton Method, but with a 90+ hr/wk work schedule, and kids it is so hard to focus and give the business the attention it needs to get off the ground. KoHub looks like just the place to do that. I can practically smell the coffee and taste the banana pancakes from here. Hey Darko, you're going to love it there! It'll be good to have time to yourself to focus on building your store and to clear your mind and relax. How does the cost of living in Thailand/Chiang Mai compare to a place like, say, Belize? Also taking into account trips abroad and back home for visa purposes. As far as going back to the US. If you live in TX Belize is easier, but for San Francisco it's the same. Hi Johnny, thanks for this article. I'm a kiwi flying from Brisbane. I am booked to arrive Chaing mai, 12 March. Bad timing I know but too late to change. My plan is to find an apartment and set up for 6 months. My question is, will I be able to find an apartment easily in March, will there be lots of empty apartments since everyone has left? are all the apartment managers still around? also, would I get a cheaper deal at this time of year? I could go visit friends in Cambodia, but I dont want to waste 4 weeks drinking and partying, really fired up to just set myself up and get after it. Super useful post. I'm a friend of Miles Beckler btw. Johnny, what do you think about showing up mid-April for a month or so? You don't mention the months of May or June at all in this. Just wondering. I'd be there about a month. Thanks for your take. I appreciate it. Just as soon arrive after the need for a facemask! What sort of PM pollution levels does Chiang Mai have at other (non-smokey season) times of year? Is it within the ‘moderate’ (50-100) range? Does it ever get to ‘good’ range of 0-50? Thanks! During May-January the air is clean and is usually in the good range, especially during and after rainy season in the summer. I can't find any data with exact numbers, but i'll be sure to check it again during the good times, but in general aside from the pollution that comes from the corruption controlled tuk-tuks and taxi-trucks (which will hopefully be phased out soon), the actual air quality is very good in Chiang Mai. It's been really bad this March, 2018, but it'll be over in a few days as farmers stop burning for the Thai New Year (Songkran) starting around April 12th. How I've been able to afford my Life of Travel.